When did Laval move to Outremont? On September 17th, there will be by-elections in the federal riding of Outremont. The NDP is running Thomas Mulcair as a “Star Candidate”. 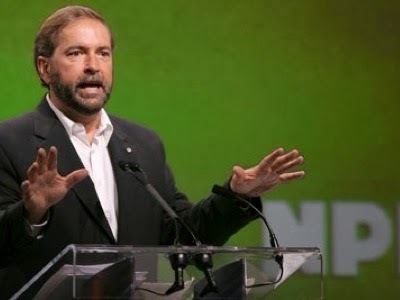 Thomas Mulcair was the MNA for the Distrinct of Chomedey, in Laval, between 1994 and 2007, where in my opinion he served his district very well. After a falling out between him and the leader of his party, the Quebec Libarals, he left provincial politics and was eventually seduced to join the NDP and run for a federal seat. So far so good right? Everyone has the right to run for office so that they may represent the area they live in and know very well. Wait a minute! How well does he know Outremont? How long has he lived there that makes him such an expert of the area that he can better represent that area than any other Outremont citizen? OK so my problem isn’t with Thomas Mulcair. Just the opposite, I like the guy and what he stands for. I have a problem with the the Canadian political process which allows candidates to run for any seat, even if they haven’t lived there for a long time...or ever! Even my political party is guilty of this (I am a card carrying member of the Conservative party of Canada). Your favorite blogger tried to seek the Conservative party nomination for Laval (where I have lived for 27 years), however was not even allowed to enter my name since they wanted to run a “Star Candidate”. So what is this rant all about? I believe elections reform should include living in the area you are going to represent, for at least 2 years. After all, isn’t an MP’s first duty to his constituents? How can you know your constituency unless you live there for a while? Maybe I am just a little bitter.